Cotinus coggygria is an eye-catching shrub remarkable for its magnificent foliage, especially in autumn. 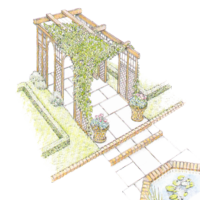 Shrubs are the backbone of a garden’s structure, giving shape to old-fashioned herbaceous borders and providing dramatic focal points. 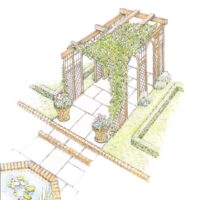 From the pretty flowering shrubs of the cottage garden to stately Victorian evergreens, there have never been so many to choose from. spent some time in its planter, and the ball of compost around the roots may have dried out completely. will not revive it and it will not survive. As a precaution, before planting immerse the rootball and its container in a bucket of water for at least fifteen minutes, until bubbles stop coming to the surface. 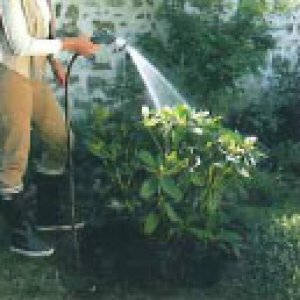 Lots of water: Immediately after planting your shrub, give it ten to fifteen litres of tepid water, even if it is raining. This isn’t just an old gardener’s tale, but a necessity to help the plant to bed in and let the rootball make good contact with the soil. If the water does not soak in fast, create a small basin by building up a ridge of soil around the plant. Fill it with water and let it ebb away, then repeat until your can is empty. Before choosing shrubs, assess your soil and test its acidity or alkalinity with a DIY kit from the garden centre or by having it analysed by a lab. Dry earth for most of the year. Keep an eye on the roots: Shrubs are almost always sold in containers. Check the root system to make sure that it will flourish once you get it home. Turn the plant over to check that the roots are not poking through the drainage holes which is a sign that it has spent too long in the pot. Don’t be afraid to take the plant out of its container. It should have several white roots all around the rootball. If it doesn’t, the plant has been recently repotted and you will be paying unnecessarily for a large pot. 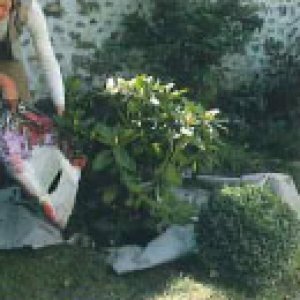 Look after bare-rooted plants: Some shrubs are not sold in containers, but have been lifted from the soil where they were raised, so that their roots are bare. They should be planted in winter while they are dormant. Avoid frosty weather when planting and do not plant in frozen or waterlogged soil. 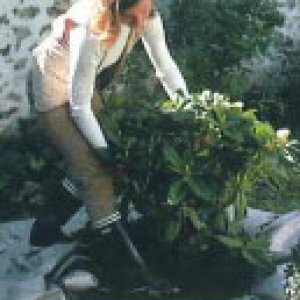 Before planting a bare�rooted shrub, prepare the roots. This is called ‘dressing’ them. Cut off any broken or damaged roots, trim the larger ones, but do not touch the little ones, as these are the ones that take up water from the soil. To plant, follow the same procedure as for a containerized plant. 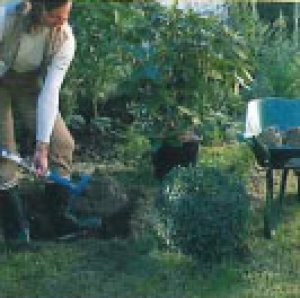 So that you do not plant too deeply, lay the handle of your spade across the planting hole. 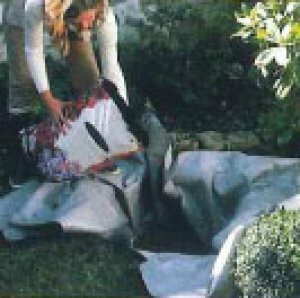 The neck of the shrub � the spot between the roots and the trunk that you may be able to identify by a soil mark made when it was in the ground � should be at that level. Mistakes to avoid: To give your shrubs the best chance, avoid these common pitfalls. Don’t plant them too close together. The shrubs will become overcrowded after two or three years and you will have to dig some up just when they are settling in. Don’t economise by buying shrubs that are too small. It is better to buy a few large, good�quality plants and to enrich the soil correctly when planting. Avoid autumn feeding. This encourages the formation of soft and sappy new shoots that will only freeze and be damaged by frosts and cold. 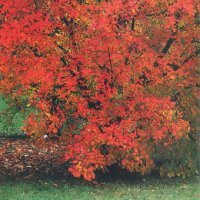 Plant when it is cool, but never when it freezes: The best time to plant shrubs is at the end of autumn so they can settle in before the growing season in spring. In areas where winters are harsh, it is better to plant in spring. But whenever you plant, never put a shrub in the ground when it is freezing. Growing acid-loving plants in the wrong soil: Don’t try to grow acid-loving plants such as azaleas, camellias and heathers in alkaline soil by just filling a trench with ericaceous compost. These plants are not designed for such conditions, and you can’t beat nature. Even though initially this method may work, it is only a temporary measure and creates an artificial environment that the plant will exhaust in two to three years before becoming stunted and sick. If your soil is already acidic but not a low enough pH for the plants you want to grow, then this method has a better chance of working. You may still need to lift the plant every few years and add more ericaceous compost to the hole. 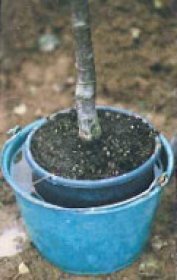 If your soil is alkaline but you are determined to grow an acid�loving specimen, consider growing it in a large planter filled with ericaceous compost. Living with an alkaline soil: Although an alkaline soil may restrict your choice of plants, there are many that tolerate it.They include cotoneasters, forsythia, the scented philadelphus and its relative, deutzia. Far less effort is involved if you grow only those plants that will enjoy your soil conditions. If your soil is very chalky, you could try modifying it over time by adding ericaceous compost or sulphur chips. But this should be done gradually, as a too-sudden change might endanger the plants that are already there. To maximise your chance of success with a plant that is not suited to your soil conditions, use a lined trench. However,you will still need to renew the acidic mulch from time to time. mini-digger. Line the bottom and sides. 2. 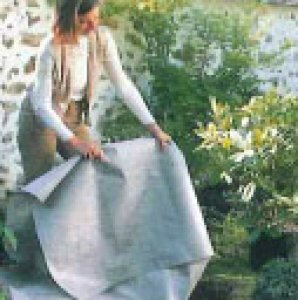 Use a sheet of thick, permeable membrane, which lets water soak away but prevents the soils from mixing. 3.Half-fill the hole with gravel, then part-till with acid [ericaceous) compost, available at garden centres. 4. Immerse the plant’s rootball in water for half an hour, then position it in the hole and fill with compost. 5. Firm in the plant and make a recessed area to retain water around the base. Trim the membrane. 6. Water well, then spread a layer of an acidic mulch such as pine bark around the base of the plant.